Every vegan has a unique story about his or her transition, but most don’t start with marrying a fourth generation cattle rancher. That’s the fascinating tale of Renee King-Sonnen, a remarkable woman whose vegan journey is about to save 28 lives—and many more in the days to come. 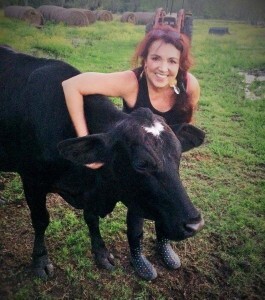 The country music singer and passionate vegan advocate is raising $35,000 to start a safe haven for farm animals. So how did her unusual journey begin? After moving to her husband’s farm, King-Sonnen became acquainted with the resident cows. She watched them, pet them, knew them; practiced yoga in their presence; named the new babies. Then she had to bear witness to the sale of these same babies—as well as to the aftermath: the anguish of the mothers. She went vegan in October of last year and began actively battling her husband about the sale of animals, creating major conflict in her marriage—and launching herself into a whole new world. King-Sonnen’s Facebook page: Vegan Journey of a Rancher’s Wife, chronicles her transition—and that of her husband Tommy’s. Amazingly, Tommy is now a vegetarian and actively helping her make the Texas sanctuary dream a reality. The price tag for the creation of Rowdy Girl Sanctuary is $35,000. Why $35,000? To save their lives, King-Sonnen is purchasing the cows from her husband. Many have questioned this arrangement, and as King-Sonnen explains, this was how she was able to convince her husband to give up ranching forever. In return, he’ll lease the ranch property to the sanctuary for $1 a year until it can sustain itself financially. In the past three months, King-Sonnen has raised $21,657 of the $35,000 she needs, via 342 supporters. The money will go to transfer 28 cows into the care of the Texas sanctuary, which is currently in the 501c3 process. For those in the area, she’s also hosting a Vegan Awareness Festival & Fundraiser on Saturday, May 2 in Angleton, Texas. Kip Anderson, director of Cowspiracy, will be in attendance, along with entertainment by Erin Eder and Wild Cactus Rose, and talks from Kathy Landry, Lorena Mucke, Dr. Philip Conklin and Sonnen-King herself. At least 200 people are expected to visit the 96-acre former beef cattle ranch. The sanctuary idea has seen an overwhelming amount of support, King-Sonnen says. The only conflict she’s really faced has been via the internet, she says, with ranchers from other states weighing in and vegans taking issue with the fact that she has to purchase the cows. Mostly, she’s received support and encouragement, including from many notable names in the vegan world. Clearly people are on board with the message and the mission. Through it all, King-Sonnen wants to spread the word that people should consider veganism. 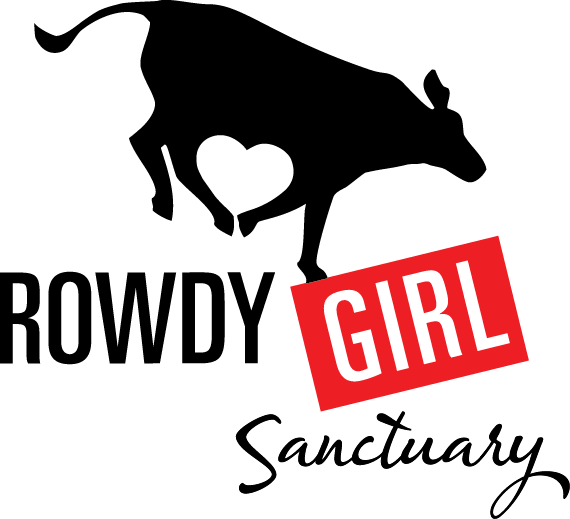 To help make Rowdy Girl Sanctuary happen, you can donate to its Indiegogo campaign in the next 28 days, or, if in Texas, attend the fundraiser and show your support for a truly amazing cause.